You will be the first one to know when the cuffs are back in stock! 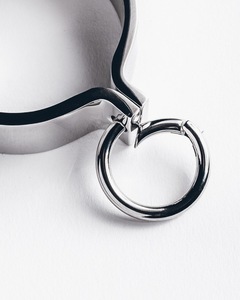 Beautiful hand cuff with a detachable ring. 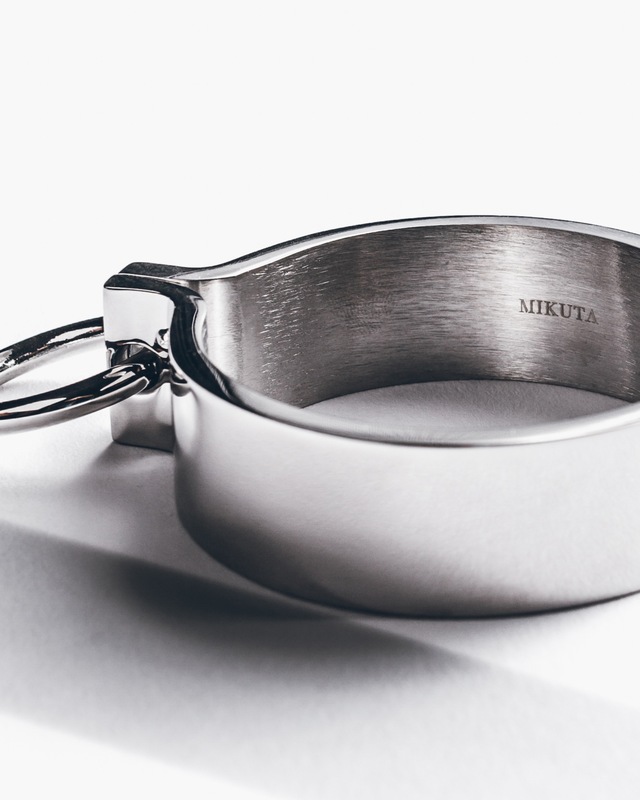 Made of stainless steel for long durability. 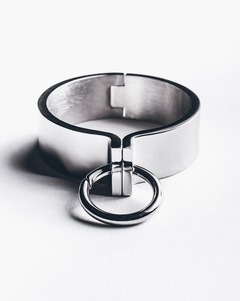 There are small magnets keeping the cuff together. 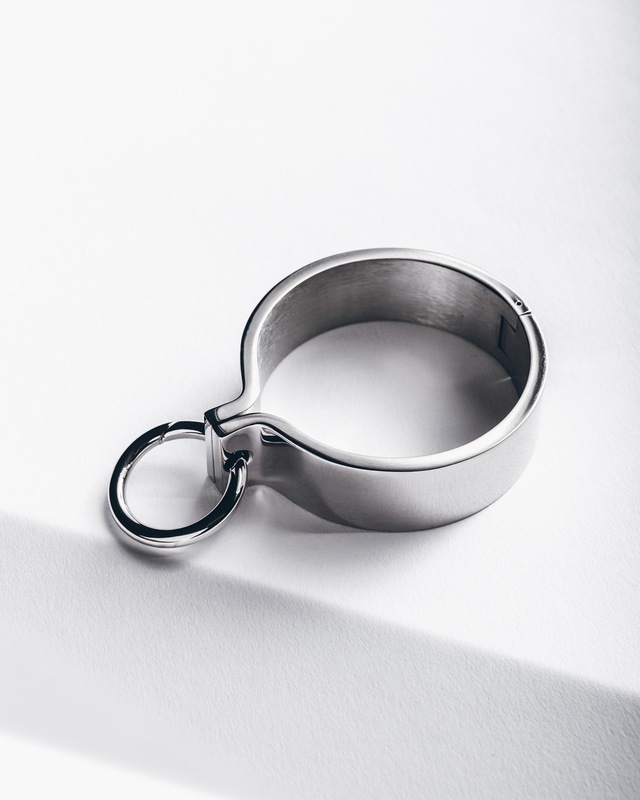 The ring is fitted with a spring and an opening and is very easy to attach and detach with one hand for maximum security. 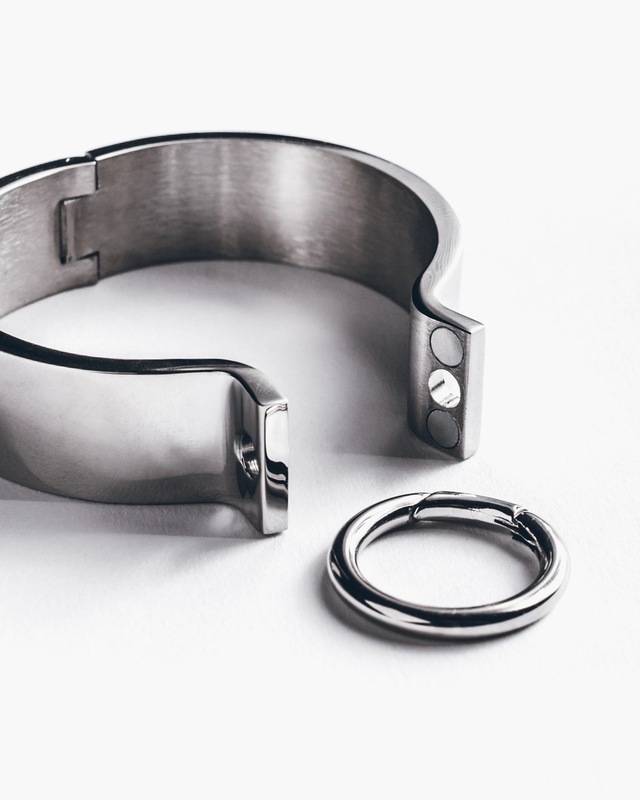 The magnets that hold the cuff together are the only sensible part of it so please avoid contact with salt water or water (like showers and baths) etc if possible to avoid corrosion. 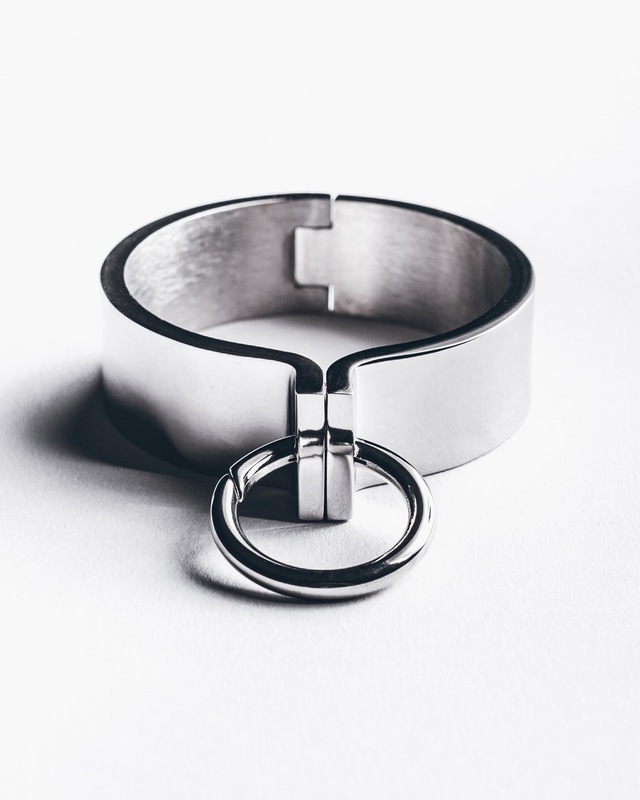 The cuff comes in one size only.